David Austin Roses achieved their 23 Gold Medal at the 2017 RHS Chelsea Flower Show and received a special visitor. 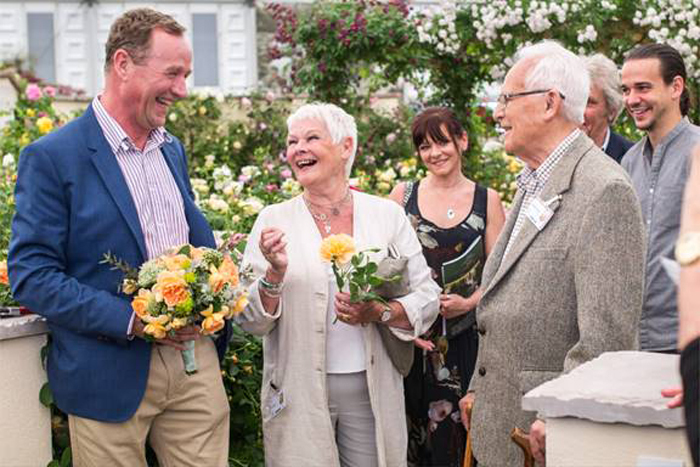 Dame Judy Dench visited their Chelsea exhibit, walking along a beautiful fragrant pathway, to celebrate the official launch of a new rose named after the British icon. Three new roses were premiered at the Show and Dame Judy was rather ‘chuffed’ with Dame Judy Dench, an English Musk Hybrid with rich apricot blooms and a lovely fresh tea fragrance. The rose is a particularly tough, reliable and healthy variety and David Austin point out that it is a vigorous grower, producing strong arching stems, which over time form an attractive mound of blooms. Dame Judy’s appearance at David Austin’s stand was one of the highlights of press day, attracting a lot of interest, especially from the photographers. 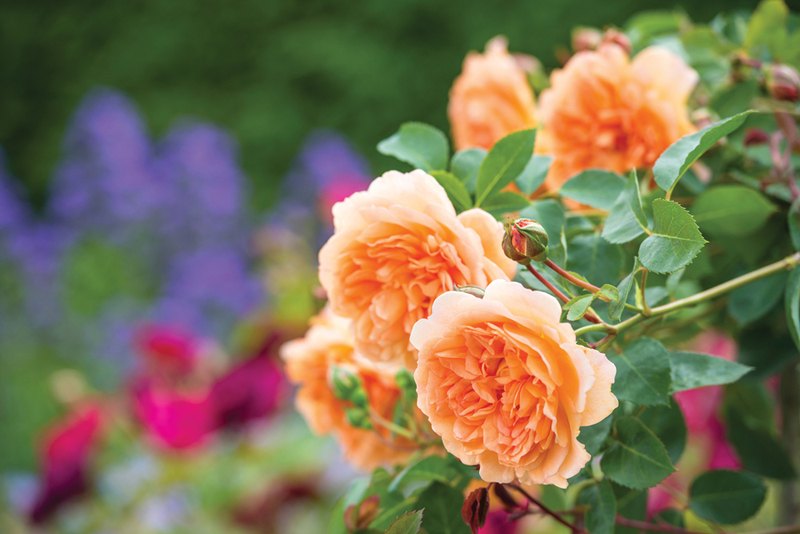 The other two Austin roses launched at this year’s Chelsea are Vanessa Bell and James L Austin. You can read more about all three roses here. 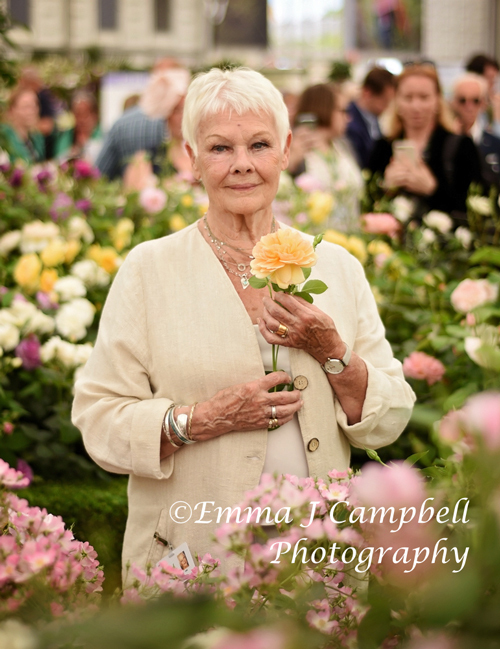 Dame Judy Dench, ©Reckless Gardener credit Emma J Campbell Photography.